Along with puffins, I really enjoy boats. I loved boats way before Andy Samberg loved them; he ain't got nothing on me. I just didn't feel the need to brag with a song. Today, I got to ride on a ferry, which is a fun kind of boat. Why? Because cars get to go on it! The ferry was going to Bell Island and leaving from Portugal Cove-St Phillip's. 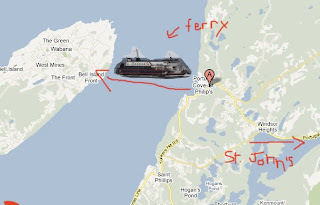 So, I'm not quite sure why there is a dash in Portugal Cove-St Phillip's or if it's even okay to just say "St Phillip's, but either way, it's about a 20minute drive west of St. John's. 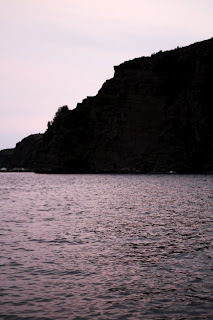 Everything is kind of a 20min drive outside of St John's, which is nice. And after that it's all just wood. And moose hooked rugs. But, yes. 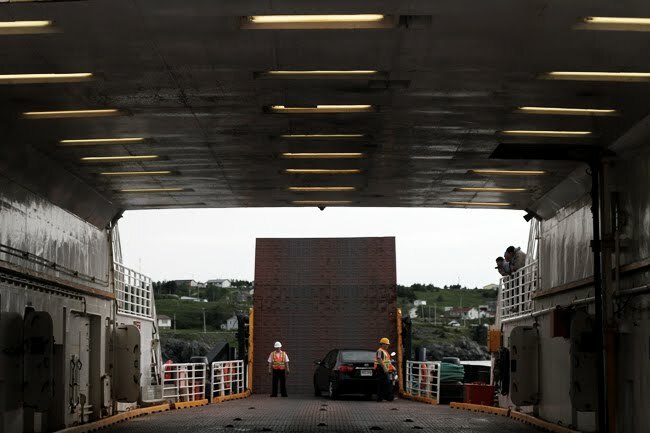 The ferry leaves from the port in Portugal Cove and it takes about 20 minutes for it to get over to Bell Island. 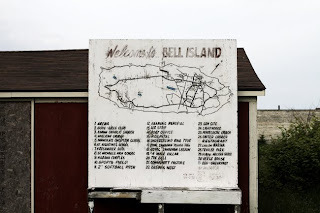 It is called Bell Island because there is a bell on it. At least, that is what my cousin says. 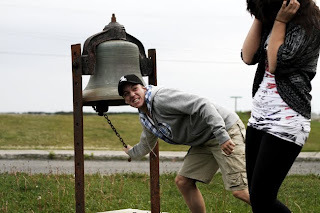 It's not that grand of a bell either. But who am I to judge? Bell Island has really good fish-n-chips. Bell Island is also the place for one to get their concrete crafts. That's right! 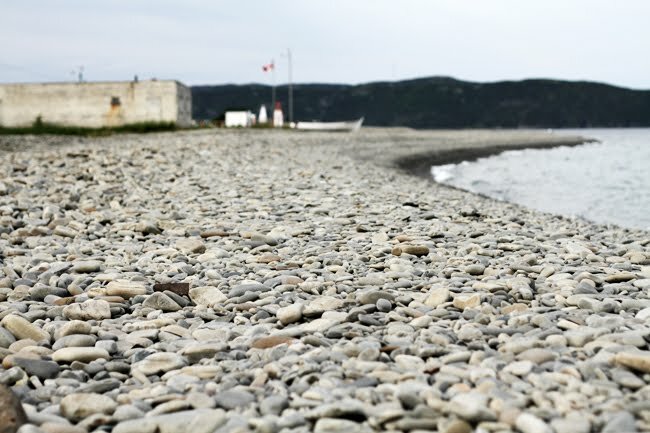 If you've wanted to add some sort of concrete craft to your art collection, look no further than Bell Island. Just expect extra shipping charges due to the weight. And, yup. Bell Island. A bell. And fish-n-chips. 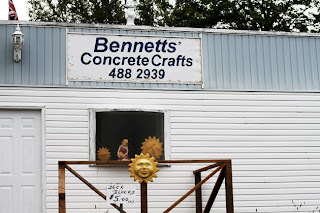 And concrete crafts. Oh, and here's a bit of interesting information: after the 8:10PM ferry, the service stops being every half hour and the next, and last ferry of the day, isn't until 10:30PM. FUN FACT! 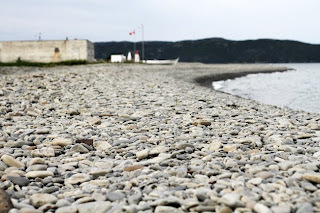 Another fun fact: there is no Tim Hortons on Bell Island. This is something that only became painful once we were stuck on the island for 2 hours. We managed to escape finally and made it back to the sprawling metropolis that is St John's. And I got Tim Hortons. And life was good again.